After Effects works only with .xmp file? Creating a time-lapse in After Effects works only when a sidecar (.xmp) file is present. It does not work correctly with DNG files. In AE, when you import (CRTL + I) a sequence of RAW images in CR2 (Canon) format that have .xmp sidecar files, each image is loaded and adjusted according to the metadata in the .xmp sidecar file which is good. However, when you import a sequence of RAW images in DNG format that has the development settings embedded in the DNG file, the development settings are ignored. This is not a LRTimelapse issue, but it certainly affects the LRTimelapse workflow. I have already converted my files to DNG and see no way to creating .xmp sidecar files again so that After Effects will work properly. Can I create a .xmp file if I only have a DNG file? If so, how? (I have full CS6 Production Premium suite of software). If I am correct about the necessity of using xmp sidecar files in After Effects, the LRTimelapse web page should be updated to emphasize the importance of using sidecars and not using DNG. Gunther has said he doesn’t use DNG files due to speed, but I am going a step further and saying After Effects doesn’t work with DNG files. Sounds crazy, but that is what I claim. Please prove me wrong. Canon user: 5DM3, 5DM2, Rhino Slider (24" & 42"), Emotimo TB3. Use Adobe ACR and AE. LRTimelapse always writes XMP Sidecar files with all settings and leaves the embedded XMP data inside the DNG alone. If XMP sidecar files are present, all adobe products prefer them, ignoring the embedded data. So: LRTimelapse always creates the sidecar files. If you feed that sequences into after effects everything is fine. If you delete the XMP files all LRTimelapse edits will be gone and After Effects will read ony the embedded XMP data. Hope I could clarify things. I am prepared to bet a few dollars I am right and the LRTimelapse workflow instructions need to be updated to say that AE users cannot use DNG files. I have performed many tests and can provide you with an example. May I send it as an attachment, you will need AE. Below is a quote directly from the Phillip Bloom blog. As stated, [undefined=undefined]AE will base settings on the first image and overwrite all metadata to be identical to the first image[/undefined]. I believe this is very serious to all AE and LRTimelapse users that use DNG and hope you have the time to review this. I sincerely hope I am wrong since it means I have wasted a great deal of time using LRTimelapse and my can't correct old time-lapse sequences. For future projects I will shoot CR2 / NEF but I can't fix any of my older time-lapse videos using DNG files. Even though I am convinced I am right, I will call Adobe to discuss this with them, but I am pretty sure I know the answer. Again, I hope I am wrong. I look forward to a reply. For those who like using Bridge, you don’t have to apply the exposure settings, or look, to every still in the timelapse. After Effects will base its look from the Camera Raw settings off the first image in the sequence. Unless you need to use LRtimelapse to fix flicker or do an effect, you won’t need separate settings for each file. Here is a short screencast where I show you how easy it is to import a DNG sequence from LRTimelapse into After Effects. I do this all the time. I am very impressed with your excellent support. I can't believe you made a video because of me. I appreciate that. It turns out we are both right. If I use LRTimelapse to generate sidecar .xmp files you are correct, AE works. However, if don't generate .xmp files and just use DNG files, then I am right. AE will use the first image development settings and apply them to all subsequent images. I spent an on the phone with Adobe this morning, they were unable to provide a solution. They said they would get back to me within 48 hours. I realize in this scenario I am not using LRTimelapse. Later today I will review your video again and do more experimenting, but wanted to get back with you and thank you for your excellent support. 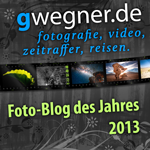 This post was last modified: 2013-01-07, 23:22 by gwegner. Hi Richard, I understand but I don't see the scenario you are talking about. 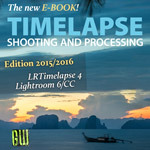 How are you producing sequences with changing development settings without LRTimelapse? You will need LRTimelapse to ramp the values, otherwise you will have a sequence with same values anyway - and if you use LRTimelapse you will always get xmp files. So I don't see any issue here - even if AE wouldn't read embedded xmp data (I didn't test it so can't confirm) this wouldn't matter at all. I would like to add that if XMPsidecar files are not present, then you haven't used LRTimelapse on your sequence. Thank you for the reply, your support is excellent, you probably don’t sleep much. I have not responded sooner because I have been doing a great deal of research on this topic and didn’t want to bother you until I was sure. For years I have converted my RAW files to DNG, but now that I am using AE and LRTimelapse, I believe it is mistake to convert to DNG, here is the reason. I created a time-lapse sequence using LRT and AE using DNG files. A few days later I looked at the sequence and noticed a “bird” in one frame that I missed the first time I viewed the sequence. I opened the “bird” image in ACR, removed the bird and re-rendered using AE. I was shocked to find the bird was still there. After many days and many hours of experimenting and speaking with Adobe support on the phone for an hour, I confirmed that when DNG files are loaded into AE the metadata for the “update/corrected” image without the bird is ignored. When a PSD or manufacturer RAW file (Canon CR2, Nikon NEF, etc) with sidecar .xmp file is used, you can edit individual images and AE works properly. 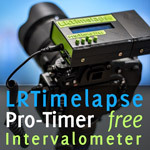 This issue is NOT a problem with LRTimelapse. I consider this a problem with AE. Assuming you agree, may I suggest you update the LRTimelapse website AE workflow to strongly recommend using sidecar .xmp files for flexibility and not use DNG files. You should also state why you are recommending the use of .xmp files since many people will not understand. Thanks, I look forward to a response. This post was last modified: 2013-01-10, 23:02 by gwegner. Hi Rich, I haven't researched that but my assumption is that when you are stamping out the bird in ACR, ACR will write this change into the embedded XMP data, not the sidecar file. AE on contrary will prefer the sidecar file if present and not notice the change you made (maybe you can test that and confirm it or deny it?). Normally there should be an algorithm that checks which one is newer - the sidecar data or the embedded data an then use it accordingly - but this is speculation, I don't know exactly how Adobe implemented that. In my opinion this isn't a big problem at all. Personally I do all stamp works directly in after effects. That's a lot faster than going back and forth to ACR. I have maybe a similar problem here with dng files where AE seems to take old values. Maybe I'm doing something wrong here? In my workflow I transform RAW files via LRT. So I load the raw files into LR-Timelapse, do the deflickering, save metadata. In LR I reload the metadata in the RAW files. If I compare here the shots everything looks fine, flickering is removed. Then I save metadata to files and I export all files as dng to a new folder. When I render these files in AE flickering is back! I've done the same workflow with TIFF and JPG files with perfect results. But with dng it doesn't work.